BREIJ, (PIC)– A Palestinian man was shot and killed by the Israeli occupation forces (IOF) east of Breij refugee camp in central Gaza Strip on Saturday, medical sources reported. They told the PIC that Sami Abu Khosa, 45, was hit with several bullets in the abdomen and other parts of his body and his condition was critical. The citizen was admitted into ICU but died of his wounds shortly afterwards, the sources said. IOF soldiers opened machinegun fire at the area east of Breij hitting and killing Abu Khosa. When it comes to air strikes against the Taliban, there’s something about the number 30, says the Security Crank blog. The unnamed military affairs blogger has published a list of recent air strikes against militants in Afghanistan and Pakistan, and an amazing pattern has emerged: It seems that just about every time an air strike is reported in the news, the Taliban casualty figure cited is 30. Citing the Moon of Alabama blog, which made a similar argument this spring, Security Crank linked to 12 news reports of separate air strike incidents since the start of the year in which the number of Taliban or insurgent casualties was reported to be 30, in most cases citing US military officials. Not 29, not 31. Thirty. What does this mean? For the Security Crank, it means we just shouldn’t believe the numbers. How could we possibly have any idea how the war is going, here or anywhere else, when the bad guys seem only to die in groups of 30? The sheer ubiquity of that number in fatality and casualty counts is astounding, to the point where I don’t even pay attention to a story anymore when they use that magic number 30. It is an indicator either of ignorance or deliberate spin … but no matter the case, whenever you see the number 30 used in reference to the Taliban, you should probably close the tab and move onto something else, because you just won’t get a good sense of what happened there. Megan Carpentier, writing at Air America, believes there’s more to this than just fudged numbers. Carpentier points to a story in the Los Angeles Times this past summer that reports that the US has, or at least had, during the Bush administration, a policy of requiring the secretary of defense to sign off on any air strike that was likely to kill more than 30 civilians. In a grisly calculus known as the “collateral damage estimate,” US military commanders and lawyers often work together in advance of a military strike, using very specific, Pentagon-imposed protocols to determine whether the good that will come of it outweighs the cost. We don’t know much about how it works, but in 2007, Marc Garlasco, the Pentagon’s former chief of high-value targeting, offered a glimpse when he told Salon magazine that in 2003, “the magic number was 30.” That meant that if an attack was anticipated to kill more than 30 civilians, it needed the explicit approval of then-Defense Secretary Donald H. Rumsfeld or President George W. Bush. If the expected civilian death toll was less than 30, the strike could be OKd by the legal and military commanders on the ground. Carpentier posits that 30 remains the magic casualty number for the Pentagon to this day, and implies that the casualty numbers are being fudged so that they are “acceptable” to the public. “That PR calculus of how many deaths matter to the average American has apparently carried over from the Bush Administration to the Obama Adminstration, at least insofar as ground commanders are concerned,” she writes. But Carpentier’s argument raises as many questions as it answers. For one, the Rumsfeld-era casualty policy applied to civilian casualties, not insurgent casualties. Yet the series of news reports this year cite the 30 number for Taliban casualties, and cite varying figures for civilian casualties, if any are cited at all. It would be hard to argue that the Pentagon believes the American public can only stomach 30 Taliban casualties at a time. So the likelier explanation is that the Pentagon doesn’t know how many insurgents were killed — perhaps because distinguishing insurgents from civilians is no easy task. And the 30 number seems like a safe bet: High enough to justify the air strike, but not so high as to seem suspicious or overblown. Of course, that’s all just speculation. So long as military officials continue to insist that it’s destroying the Taliban exactly 30 insurgents at a time, there won’t be much the public will be able to glean from the gory reports of death and destruction in Central Asia. Pakistani security forces have arrested another three US citizens working at the American Consulate for filming sensitive installations in the eastern city of Lahore. Police arrested three American nationals including a woman in the Sherpao bridge area of Lahore as they were filming sensitive government buildings, a Press TV correspondent reported. According to Pakistani police all three were employees of the US embassy. The US citizens were taken to a police station and later released after a three-hour inquiry. Police have impounded their vehicle for legal action as it was bearing false license plates. The woman, identified as Morgan, works for the press department at the American Consulate in Lahore. She was arrested while actually taking pictures of a check-post near the Sherpao Bridge. The Pakistani daily The Nation reported that after a thorough search of the woman, the security personnel recovered 11 pictures in her possession, which included photos of different police check-posts in the area. The Pakistani foreign affairs ministry was not available for comment when contacted by Press TV. The move came just days after authorities arrested five US nationals from the eastern city of Sargodha, believed to have gone missing in Washington D.C. last month. The US nationals, with alleged links to al-Qaeda, were arrested on suspicion of plotting a terror attack. Despite repeated denials, the CIA has now confirmed that US security contractor Xe Services, formerly known as Blackwater, has been operating in Pakistan. CIA spokesman George Little said that agency Director Leon Panetta has terminated a contract with Xe services that allowed the company’s employees to load bombs on CIA drones at secret airfields in Pakistan and Afghanistan. Although the spokesman denied that Blackwater was currently involved in CIA operations in Pakistan and Afghanistan, his comments, contradicted past US assertions that the company does not operate in Pakistan. Other than the US administration, the Pakistani government and Xe itself had denied that the company was operating in Pakistan. Little did say, however, that the contractor still provides so-called security or support assistance to the US intelligence agency in the two countries. He did not elaborate further on exactly what that role involves. While the New York Times published CIA’s claim that Blackwater employees no longer have an operational role in the agency’s covert programs in Pakistan and Afghanistan, the Guardian posted a quite different article. Citing comments from an unnamed former US official, the British daily reported that Blackwater was still operating in Pakistan at a secret CIA airfield used for launching drone attacks. According to the official, who has direct knowledge of the operation, Xe employees patrol areas surrounding the Shamsi airbase in Pakistan’s Baluchistan province. Blackwater gained its notoriety mainly from its activities in Iraq and Afghanistan. Iraqis have launched several cases against the company in US courts over violent attacks carried out by the company against unarmed people, including an unprovoked 2007 shooting spree in Baghdad that killed 17 civilians. After the Baghdad incident Blackwater changed its name to Xe Services. The company CEO Erik Prince also is facing allegations by a former US marine and a past employee that he organized the murder of witnesses that could have testified against his company during the hearings. He has also been accused by the two witnesses, whose identities have not been disclosed by the courts for safety purposes, of having anti-Muslim sentiments, “encouraging and rewarding the destruction of Iraqi life”, and arms smuggling. CIA confirmation of Xe involvement in Pakistan comes a day after the New York Times reported that links between Blackwater and the CIA in Iraq and Afghanistan have been closer than has yet been disclosed. A US Congressional committee is apparently investigating links between Blackwater and American intelligence services. The paper said that Blackwater staff had participated in clandestine CIA raids. Blackwater is a sensitive subject in Pakistan where its name is associated with drone strikes, bombings and violent activities that have left hundreds of civilians dead. Before the US avowal, some Pakistani TV stations had already aired images of what seemed to be “Blackwater houses” in Islamabad. Several papers had also published reports accusing certain US officials and journalists of being Xe operatives. Pakistan’s interior minister, Rehman Malik, has even offered to resign if it is proven that Blackwater is present in Pakistan. However, it remains to be seen whether he will keep that promise now that the CIA has confirmed that Blackwater is and was working in Pakistan. Iran’s foreign minister on Saturday proposed that Tehran swap 400 kilos of low-enriched uranium for nuclear fuel in an exchange on a Gulf island as the first phase of a deal with world powers. Any new sanctions against Tehran over its controversial nuclear programme “will have no impact,” Manouchehr Mottaki also said at a security conference in Bahrain. “We are prepared to take 400 kilogrammes (880 pounds) of 3.5-percent enriched uranium to the island of Kish and exchange it” for the equivalent in 20-percent enriched uranium, he said. He told the opening session of the conference in Manama that Iran agreed “in principle” to an International Atomic Energy Agency (IAEA) proposal to swap 1,200 kilos of enriched uranium for nuclear fuel. The 400-kilo exchange on Iran’s southern Gulf island, a free trade zone, could be an initial step in a process that would take several years, Mottaki told a later news conference. The Islamic republic’s foreign minister said the process could begin “right away” if the United States, Britain, France, China, Russia and Germany agreed to the offer. But the IAEA has already ruled out a swap taking place inside Iran. “I don’t think that is an option. The whole purpose of the deal is to defuse the crisis,” outgoing chief Mohamed ElBaradei said last month at the agency’s Vienna base before handing over to his successor, Yukiya Amano. In a deal brokered in October, it was proposed that Iran ship out most of its stockpile of low-enriched uranium (LEU) for further processing by Russia and France so it could be turned into the fuel needed for a research reactor. The world powers have been pushing the UN nuclear watchdog-initiated plan for Iran to farm out its uranium enrichment work abroad. Under the plan, Iran would be supplied with 20-percent enriched fuel in return for allaying Western concerns by shipping out most of its stocks of LEU. Despite US and European threats of new sanctions because of its refusal to accept the October deal, Iran is ready for further talks on its nuclear programme with the UN Security Council permanent members plus Germany, he said. “We are ready to continue dialogue with the permanent-five-plus-one,” Mottaki said. But “wherever we are under constraints and wherever we need technology and are denied it, we will work to gain access to the technology ourselves,” he said. Mottaki also said Iran would need up to 15 nuclear plants to cover the country’s domestic electricity needs over the next two decades. Bahrain’s Foreign Minister Sheikh Khaled bin Ahmed bin Mohammed al-Khalifa, addressing the conference, opposed new sanctions against Iran, describing Tehran’s talks with the major powers as flawed. “To move from a wrong system of talks and put sanctions on the people of Iran is not fair,” he said. “Why did the five-plus-one talks fail? Because countries of the (Middle East) region were not included in these talks,” he said. 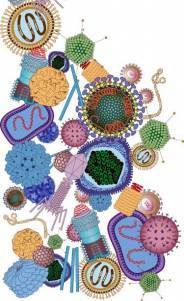 Since the beginning of time, people have been plagued with viruses. They seem to come and go. The carbonphobia virus is spread through a combination of circumstances. •They are poorly educated in and generally ignorant about general science and find math difficult or even confusing. •They have no knowledge of the science of climate or climate change. •They tune in to NPR, PBS, CBS, NBC, ABC, or CNN. •They believe without question what they read in Time, Newsweek, US News & World Report, The New York Times, The Washington Post, etc., etc..
•They have watched Al Gore’s An Inconvenient Truth and find it convincing. •They attend a school or college with liberal teachers/professors who sing the praises of the UN’s Intergovernmental Panel on Climate Change (IPCC). •They tend to believe they are liberals or find liberal views enticing. The more symptoms a particular individual possesses, the more likely that individual will become infected with the virus. Unfortunately, many victims of the carbonphobia virus do not realize they are infected. They continue to lead their daily lives in complete ignorance of their infection. They are perfectly content to believe they have been properly informed by others who are also infected. Victims may not realize they are manifesting an infection by the virus. •A belief that burning fossil fuels will destroy earth by making it too hot to sustain life. •A belief that human activity can change climate. •A belief that we can manufacture a system of government mandates to force people to use less carbon fuel by creating a system of carbon credits tied to an illusive carbon footprint scheme. •A belief that carbon dioxide is an evil pollutant and we must regulate its production. The more manifestations of this virus one exhibits, the worse the infection and the more difficult the treatment. If you find you have any of the symptoms or manifestations of the carbonphobia virus and you are interested in a cure, then read on. Fortunately, there is a treatment for the carbonphobia virus, but it requires massive doses of common sense, elementary knowledge of climate and climate change history, and a willingness to value truth. It may be necessary for infected individuals to purge massive amounts of misinformation about climate science that have been instilled in them by false prophets, undeducated teachers, and misinformed media. The best place to start is with some fundamental facts about the greenhouse effect and climate change. •The greenhouse effect is not a significant climate change force. It is a process for retaining heat from the sun. •The greenhouse effect does not create heat, it merely retains heat produced by the sun. •Carbon dioxide is a minor contributor to greenhouse heat retention. Water vapor (and clouds of water vapor) are responsible for up to 95% of greenhouse heat retention; all other greenhouse gases account for the remainder (carbon dioxide is the most potent of the remainder of greenhouse gases after water vapor). •Carbon dioxide is always being created and absorbed by natural processes. The decay of plant and animal life produces, among other things, carbon dioxide. Animals and insects produce carbon dioxide as a byproduct of digestion and respiration. Plants absorb carbon dioxide, giving off oxygen as a byproduct of photosynthesis. •The properties of carbon dioxide limit its greenhouse heat retention to less than 3.0°C (5.4°F), regardless of the amount put into the atmosphere. •The first 20 ppm of carbon dioxide added to the atmosphere (from zero base) provides more greenhouse heat retention than the next 380 ppm combined. •Carbon dioxide’s impact on heat retention declines logarithmically as more is added to the atmosphere. •At current levels of about 380 ppm of atmospheric carbon dioxide, more than 2.7°C of carbon dioxide’s heat retention capability has already been achieved. Adding more carbon dioxide to the atmosphere will have little impact on greenhouse heat retention. •Climate is always changing. The natural state of climate is change. •Historically (in the paleoclimate record), carbon dioxide exhibits a short term (100s of years) response to climate change; it does not produce climate change! Over time frames of tens or hundreds of millions of years, there is no relationship between atmospheric carbon dioxide and climate. •Humans have never experienced Earth’s “typical” climate (the climate that has prevailed during more than 90% of the existence of living organisms). Earth’s typical climate is between 15°F and 25°F warmer than anything humans have ever experienced. •Earth has experienced four ice eras over the past 540 million years. Ice eras last tens of millions of years and contain embedded colder climate regimes called ice epochs that last hundreds of thousands of years (up to a few million years). Ice eras and ice epochs feature climate much colder than Earth’s typical climate when there is no surface ice at sea level anywhere on the planet and sea levels are much higher than anything experienced by humans. •During Earth’s coldest ice era (the “snowball Earth” era that peaked about 450 million years ago), when almost the entire planet was covered in ice, atmospheric carbon dioxide was 5600 ppm, about 15 times higher than today! •Ice ages are relatively brief periods lasting tens of thousands of years. Warmer climate periods between ice age cycles are known as interglacials. We are experiencing an interglacial that began about 18,000 years ago. Interglacials typically last about 20,000 years. •Within ice age and interglacial cycles, there are shorter term climate episodes known as warm and cold periods lasting hundreds of years. Recent (within the past 5000 years) known regimes of this nature include The Minoan Warm Period, The Roman Warm Period, The Medieval Warm Period, and, most recently, The Little Ice Age that peaked in the 17th century. If recent history is representative, warm periods are more common than cold periods. Remember, these are all within the interglacial of an ice age cycle. •During the 20th century, global temperatures cooled, warmed, cooled again, and then warmed again. The end of the 1990s featured a particularly warm period of several years that coincided with a particularly active solar sunspot cycle. A high correlation between solar cycles and climate exists in the climate and solar record. •The unusually active solar cycle experienced over the past decade is passing and many solar scientists believe an unusually minimal period of solar activity will be experienced during the next 20 years. This could lead to dramatic cooling, based on the paleoclimate and solar cycle record. •If humans were confronted with an imminent cold period (e.g., the recent Little Ice Age), there is nothing that could be done to prevent it. •Carbon-based fossil fuels are produced from decayed ancient plant and animal life. That ancient life obtained its carbon from atmospheric carbon dioxide through photosynthesis and digestion. Consequently, the use of fossil fuels is nothing more than an exercise in long term recycling of carbon dioxide back to the atmosphere from which it originated. It is a natural life cycle process. If you have been infected with the carbonphobia virus and you study the above facts, you will find that a cure is likely to emerge. By absorbing this knowledge, you will shed your infection and become a cured individual, capable of resisting future attempts at reinfection. However, be warned that cured individuals must be wary of the tremendous pressure that the infected population may bring upon them to shed their knowledge and become reinfected. Particular pressure will come from politicians, a particularly susceptible group due to their general abysmal comprehension of things scientific. Infected politicians will cause extreme pain to all others through the folly of imposing regulatory burdens [upon non-pollutant CO2 emissions for example] and insisting on such energy inefficient non-solutions such as costly ethanol-based fuels. The danger of reinfection is always present, particularly among those who continue to subject themselves to some of the symptoms noted above. Action without knowledge is pure folly. Avoid becoming infected with the carbonphobia virus by seeking truth. In case you want to learn how to appeal to the Jews, British diplomat Matthew Gould gives a free lesson. Haaretz reported yesterday that Gould, the newly appointed British Ambassador to Israel, wasn’t too connected to his Jewish roots until he served in Tehran. Seemingly, now he knows where he belongs. The religious process that began in Tehran continued in Britain. “I got more active [with Judaism] and over the last couple of years I’ve spent a lot more time and a lot more thought on my Jewish identity and what it means to be Jewish,” says Gould. Haaretz reports that Gould and his wife go to shul every week at the West London Synagogue. As a child, Gould recalls going to Middlesex New Synagogue in Harrow with his parents, who still live in London as “proud but inactive” members of the Jewish community. In Israel, Gould says he and his wife “will keep a Jewish household,” and “bring up their kids in the Jewish tradition, when those children are born.” Gould knows some parts of Israel, from his visits there as a child, when he would occasionally go to the Liberal Movement’s Kadima summer camps. He also has family – second and third cousins – in Jerusalem and Tel Aviv. What can we say, he is not only a Jew but a product of a typical Zionist upbringing. Fatigue is not exactly one of Miliband’s characteristics. As we learn from Haaretz, he is now sending the Jewish State a kosher ambassador, one who ‘goes to the Shul every Sabbath’, one who vows to keep a “Jewish household”. One who understands and is ‘sensitive to Israeli security matters’. Ambassador Gould maintains that he is going as “the British ambassador, to pursue British policies and advance British interests.” So here are two simple questions to the new British Ambassador to Israel. How are you going to act when the British interests and the Jewish ones oppose each other? How will you act when you notice a clear discrepancy between Israeli actions and humanism? Stuart Littlewood argues that an academic boycott of Israel is now urgent in the light of an Israeli High Court ruling that the Israel occupation forces acted within their rights when they abducted, blindfolded, handcuffed and dumped in Gaza 21-year-old Palestinian student Berlanty Azzam just weeks before she was due to complete her degree at Bethlehem University in the occupied West Bank. Poor Berlanty. What did she do to deserve this crushing blow to her hopes and life chances? The Israeli High Court has denied Berlanty Azzam justice – again – and prevented her returning to Bethlehem University for the final few weeks to complete her degree. 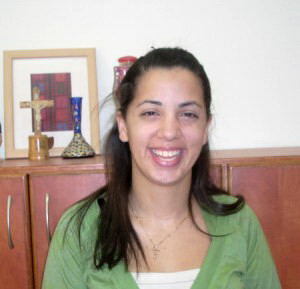 On 28 October this Christian student at the Vatican-sponsored Bethlehem University was abducted by the “Israel Defence Forces”, “the world’s most moral army”, after attending a job interview in Ramallah, then blindfolded and handcuffed and dumped in Gaza. She had lived in the West Bank since 2005 after being granted a permit. There was only one kind of permit available in 2005 – an entry permit to Israel. But the Israeli state claimed that this permit was insufficient and Berlanty should have obtained some other permit, even though the state admits that none existed at the time. State representatives took her permit, a key piece of evidence, and never produced it to the court. After six weeks of double-talk the court accepted the state’s claim that Berlanty entered the West Bank illegally. We hear a lot about how independent Israel’s justice system is. Here’s proof, if any were needed, that it is simply a tool of the military. To avoid accusations that her residence was not Bethlehem, Berlanty had for the last four years resisted the temptation to return to Gaza and visit her folks. She and her parents submitted numerous applications to change the Gaza address recorded on her identity card to her actual place of residence, Bethlehem, but to no avail. Israel controls the Palestinian population registry and refuses to register changes in address from the Gaza Strip to the West Bank – another example of how Gazans are effectively imprisoned. This, of course, is in breach of her human rights. The West Bank and the Gaza Strip are internationally recognized as one integral territory and under international law everyone has the right to freely choose their place of residence within a single territory. In 1999 Israel and the Palestinian National Authority (PNA) signed an agreement establishing a 28-mile road corridor giving Palestinians safe passage between the two parts of Palestine – yet another empty gesture. Indeed. Since 2000 Israel has implemented a sweeping ban, preventing youngsters from Gaza from studying at Palestinian universities in the West Bank. A 2007 High Court decision determined that students from Gaza wishing to study in the West Bank should be allowed to do so “in cases that would have positive humanitarian implications”. However, to the best of her legal team’s knowledge, since that judgment was handed down Israel hasn’t issued a single entry permit. Only last summer 12 students from Gaza were refused permits to study at Bethlehem University. Back in the late 1990s, about 1,000 students from Gaza studied in the West Bank, most of them in disciplines that are not offered in the Gaza Strip. Like Berlanty, an estimated 25,000 people currently living in the West Bank have been declared “illegal” by Israel solely because the address on their identity card is in the Gaza Strip. Some of them have lived in the West Bank for decades but Israel simply does not recognize their right to be there. They are extremely limited in their daily movements and live in fear of being detained and “deported”, just as Berlanty was. Consequently they have very limited opportunities for employment, business and studies. This policy not only breaches Israel’s obligations under international to treat the West Bank and the Gaza Strip as a “single territorial entity”, but it also chokes any prospect of healthy development in Palestinian society. It is no use pretending that things will change – unless other countries give Israel a dose of its own medicine. How does the Berlanty case and the thousands like it sit with the great and the good who piously reject the idea of an academic boycott against Israel? All political parties fight against such a boycott for muddle-headed reasons. The recent Channel 4 Dispatches programme uncovered the influence of the Israel lobby and its money on the Conservative Party. Another particularly obnoxious group that’s hopelessly out of touch with reality is the Liberal Democrat Friends of Israel (LDFI). At their party’s conference they tabled a motion squashing an academic boycott, saying that “Israeli universities are centres of free debate and discussion and that the universities contain Jews, Muslims, Christians, Israelis and Palestinians. Furthermore, a boycott does nothing to resolve a negotiated solution to the Israel-Palestine conflict and is indeed counter-productive as it discourages dialogue.” This motion against the boycott was passed with an overwhelming majority. The aim of the Liberal Democrats Friends of Israel is to “maximize support for the State of Israel within the party and Parliament” and “encourage a broad understanding of Israel’s unique political position as the only democracy in the Middle East”. To influence the party’s Middle East policy so it places a high priority on Israel’s right to peace and security. To arrange and accompany LDFI delegations to Israel. In other words, they act as a prop within the British Parliament for this racist military regime. Such blind allegiance and bizarre conduct contribute to the tragedy of Berlanty and countless other Palestinian youngsters. Without these beacons of misplaced support across the Western world lawless Israel would be sunk. “Israel is essentially a US military base, the US positions weapons there, that’s a very close military and intelligence tie,” the Jewish academic told Press TV on Wednesday while explaining the complexity of relations between Washington and Tel Aviv. “[Israel] is receiving weapons constantly. In fact, weapons were sent during the invasion of Gaza. They tried to send them, they were supposed to send them from Greece, and Greece refused to ship them,” he said. “When pentagon was asked about this, they responded (I think correctly) that the weapons were not being sent for the Gaza invasion which was underway with the US weapons of course; rather, the US was positioning weapons in Israel,” he added. Dec. 12 (Bloomberg) — OAO Lukoil and partner Statoil ASA won rights to develop the second phase of Iraq’s “super giant” West Qurna crude deposit, the largest offered to foreign investors in today’s second round of bidding. Lukoil, the Russian producer with the most oil assets abroad, beat out teams headed by London-based BP Plc, Paris- based Total SA and Kuala Lumpur-based Petroliam Nasional Bhd. Lukoil committed at the auction in Bagdad to increase output at West Qurna, 65 kilometers northwest of Basra, to 1.8 million barrels a day for a fee of $1.15 a barrel. Russia’s OAO Gazprom, Angola’s Sonangol SA and Petroliam Nasional also won contracts awarded today in Iraq, which holds the world’s third-largest oil reserves. The government, which assigned deals this weekend and in June, aims to boost output to more than 12 million barrels a day over the next six years, Oil Minister Hussain al-Shahristani said today in Bagdad. He called the second round a “success,” resulting in seven contracts to develop fields containing 28 percent of the country’s crude assets. Iraq awarded two service contracts yesterday to groups led by Royal Dutch Shell Plc and China National Petroleum Corp. The winning bidders for two of Iraq’s largest fields, West Qurna and Majnoon, offered their services at one-quarter to one- third of the best bids proposed at the first auction in June, according to Oil Ministry data. BP Plc and China National Petroleum Corp. agreed in the first round to develop Rumaila, the largest Iraqi field awarded, for $2 a barrel, half their initial bid on the filed with 17 billion barrels of reserves. West Qurna, described as a “super giant” by Iraq’s Oil Ministry, is being developed in two licenses. The 12.9 billion barrels of oil reserves in West Qurna’s phase two make that deposit the biggest on offer in this bidding round, according to U.S. Energy Department data. In the first round, Lukoil bid together with Houston- based producer ConocoPhillips for the first phase of West Qurna. Lukoil received a contract to develop the deposit from former Iraqi dictator Saddam Hussein in 1997. He then annulled it in 2002. Lukoil’s CEO unsuccessfully lobbied Iraqi Prime Minister Nuri al-Maliki to reinstate it this April. The opening of Iraq’s reserves persuaded more than 35 international and state-run oil companies to set aside concerns insurgent attacks or political instability may disrupt operations. Bombings in Baghdad this week left at least 101 people dead and hundreds injured as violence escalates before elections planned in March. “Our focus now is to establish the organization needed to develop this project in a responsible and safe manner,” Torgeir Kydland, senior vice president at Statoil, Norway’s state- controlled oil company, said in a statement. The five projects in today’s bidding were West Qurna-2, Garraf, Badra, Middle Furat, and Najmah. Petroliam Nasional, known as Petronas, and Japan Petroleum Exploration Co., known as Japex, won Garraf. They outbid groups led by Turkish Petroleum Corp., known as TPAO, and PT Pertamina, Indonesia’s oil company. Gazprom led the only group bidding for rights to develop Iraq’s Badra oilfield. It won the contract after lowering its cost for the work. Sonangol, Angola’s state-run oil company, today agreed to Iraq’s terms to develop the Qaiyarah deposit after their initial bid was rejected yesterday. Sonangol also won rights to develop Iraq’s Najmah crude deposit, the last field to be auctioned. Iraq received no bids today for the Middle Furat, or Middle Euphrates, field. Statoil bid unsuccessfully for phase one of West Qurna in June. Lukoil worked with Norsk Hydro, now part of Statoil, in exploring the Azar field in the Anaran block in Iran, close the Iraqi border, according to Statoil’s Web site. The first phase of West Qurna was awarded last month to Exxon Mobil Corp. and Shell after an initial failure to agree on terms during the country’s earlier bidding round in June. The first phase has about 8.7 billion barrels of reserves. Four groups involving eight companies bid for West Qurna-2. Exxon and Shell didn’t bid for the second phase. “It’s always been seen as the main prize in the second round,” said Samuel Ciszuk, an analyst at IHS Global Insight in London. Iraq, the third-largest producer in the Organization of Petroleum Exporting Countries, is struggling to raise output from about 2.4 million barrels a day and to boost revenue from crude sales after six years of conflict destroyed the economy and infrastructure. Iraq will hold a 25 percent stake in all field development licenses, with the remainder split between companies winning the bid. Bidders must accept service contracts with a flat fee for each barrel extracted, rather than production-sharing agreements in which they gain a stake in the crude produced. This means they are not positioned to benefit from a rise in oil prices. The winning bids from yesterday’s auction show Shell and Malaysian partner Petroliam Nasional Bhd., plan to boost output at the Majnoon field to 1.8 million barrels of output a day, from about 50,000 barrels a day now, earning a fee of $1.39 a barrel. The partners beat a rival bid by Total SA and CNPC. CNPC, Petronas and Total will boost production at Halfaya to 535,000 barrels a day, for a fee of $1.40 per barrel produced, beating groups led by Statoil, Italy’s Eni SpA and India’s Oil & Natural Gas Corp.
Majnoon holds 12.6 billion barrels of oil reserves and Halfaya holds 4.1 billion barrels, according to U.S. estimates.